At its iPhone event being held in Cupertino, Apple has unveiled the new Apple Watch Series 4. 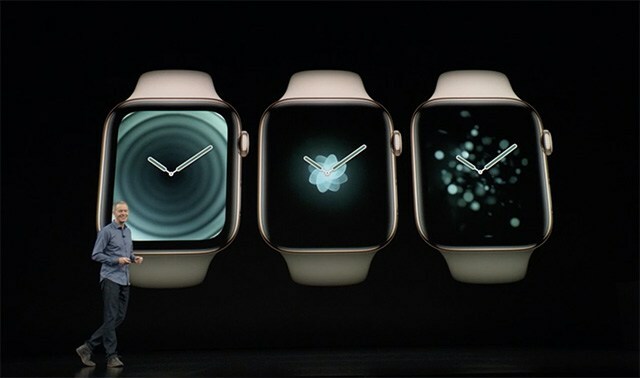 The watch comes with an edge to edge display that’s now 35% larger, and to go with the new display, the company has redesigned the entire UI of the Apple Watch. There’s also a new watch face, which we’ve seen in the leaks before; it comes with a whopping 8 complications on the watch face itself, and you can customize the complications to make it suitable to your personal needs. There are also some new dynamic watch faces in the Apple Watch Series 4 designed to take full advantage of the new display and the curved corners. The watch now has a 50% louder speakers, and now has a new back made out of black ceramic. In Series 4, Apple has added ECG capabilities to the Apple Watch and you can quickly take an ECG reading by simply touching and holding on the digital crown. The Apple Watch Series 4 pricing starts at $399 for GPS, and $499 for GPS+Cellular variants, and will be available in Silver, Gold, and Space Gray. Orders go live on September 14, and the watch will go on sale from September 21. Note: This story is still developing, check back often for more details.